Genetic test nowadays are dirt cheap. And your 23 chromosomes have amazing stories to tell, including details of your ancestry. In fact, white supremacist were quick to jump on the gene sequencing process to prove their "ethnic purity" only to find out that they weren’t all that pure after all. They were particularly disturbed to learn that all our distant ancestors were from Africa and we all were black! But I'm getting ahead of the story. 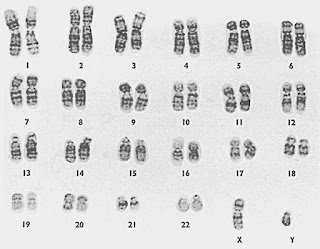 As you know, our 23 pairs of chromosomes are made of DNA, and everyone inherits half of their DNA from their mother and half from their father.